Grand Center, the historic arts district located in the heart of St. Louis, is most definitely a neighborhood with bragging rights. It is home to 13,000 theater seats, 15 visual arts institutions, 40 arts organizations, and an active restaurant scene. However, you might not have felt this cultural richness while wandering the district’s public spaces before 2015. The park was sending the signal that it was not built to be enjoyed casually. Shrubbery along the park edges created barriers to entry along the street, while a large temporary public art piece created a visual barrier. Moveable furniture was very limited and fixed benches were not well configured. 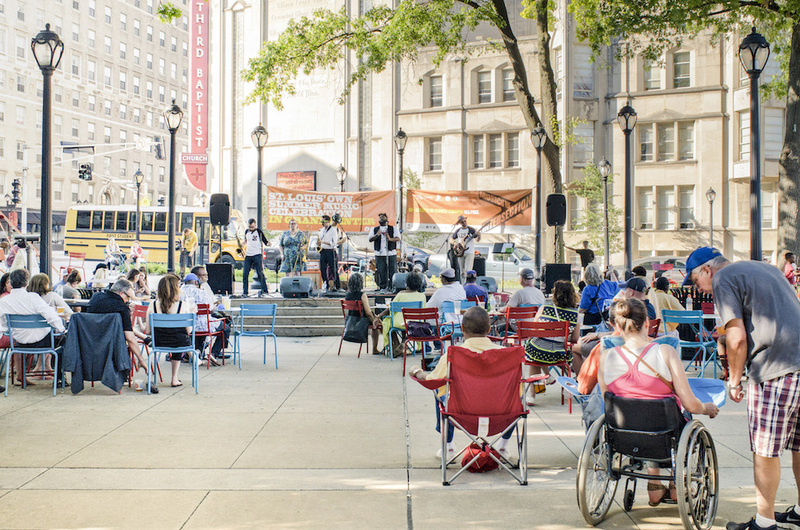 In order to bring the vibrant indoor cultural scene outside, and to revive Grand Center’s pedestrian experience, Southwest Airlines Heart of the Community Program and Project for Public Spaces partnered with Grand Center, Inc. (GCI), the City’s designated agent for restoring the neighborhood to its legendary 20th century pinnacle. Efforts focused specifically on improving Strauss Park, a charming but underutilized place at the neighborhood’s center. In June 2015, PPS, with support from a Southwest Heart of the Community grant, kicked off a series of public engagement meetings and activities designed to offer opportunities for stakeholders offer input and recommendations for the physical design and improvements to the space. More than 50 individuals actively participated in conversations over a two-day period, including District employees at all organizational levels, residents, and business owners. Participants highlighted positive attributes of the space, including: green spaces; urban feel; central plaza; seating; and opportunities for events. Opportunities for improvements also arose: a stronger sense of welcoming; flexible seating; landscaping; and activities in the space. In addition to the Placemaking workshops, PPS staff conducted more than 275 intercept surveys about what types of activities community members would be interested in attending. Music, markets, movie and food truck events were consistently ranked high. Incorporating what was learned in community engagement sessions, PPS created wide entry circles on both Grand and Washington. These circles created an inviting walkway for pedestrians to enter the park and formalized a pedestrian route that was naturally occurring in the park. 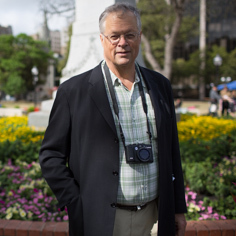 PPS also recommended that rose bushes and shrubs be removed from the Grand Blvd. edge, and replaced with benches and new moveable furniture to encourage pedestrians to enter the park. In addition, flag poles and fencing were removed from the edge of the patio area—removing the impression of a private space. 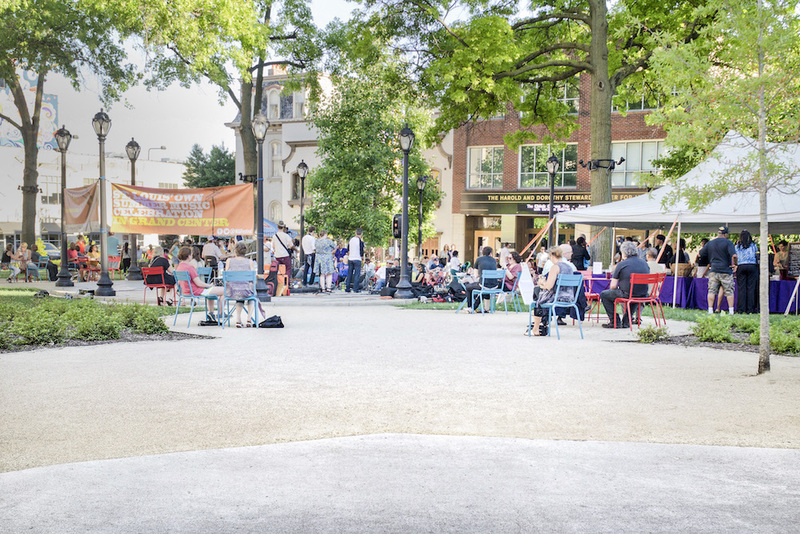 The park’s improvement goes hand in hand with Grand Center’s ongoing development of the Arts and Music Promenade, a Placemaking project which will knit cultural assets together through a tapestry of lively outdoor public spaces. A new wooden platform in Strauss Park now hosts performances in the space, including a Music at the Intersection series. Managed by a local performance venue, the series highlights local musicians. 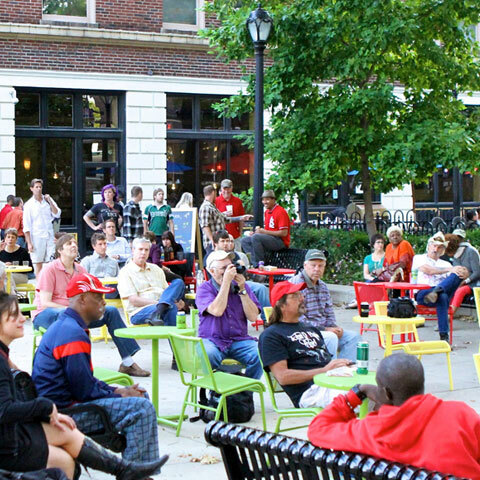 Each evening highlights a specific musical genre and begins with a free Happy Hour concert in Strauss Park. The concert in the park is followed by live music in nine indoor venues until midnight. The Placemaking process has strengthened community ties between residents, artists, and neighboring institutions, and Strauss Park is on its way to becoming the showcase for the district's the extraordinary creative energy. Entry circles welcome passers-by into the park. 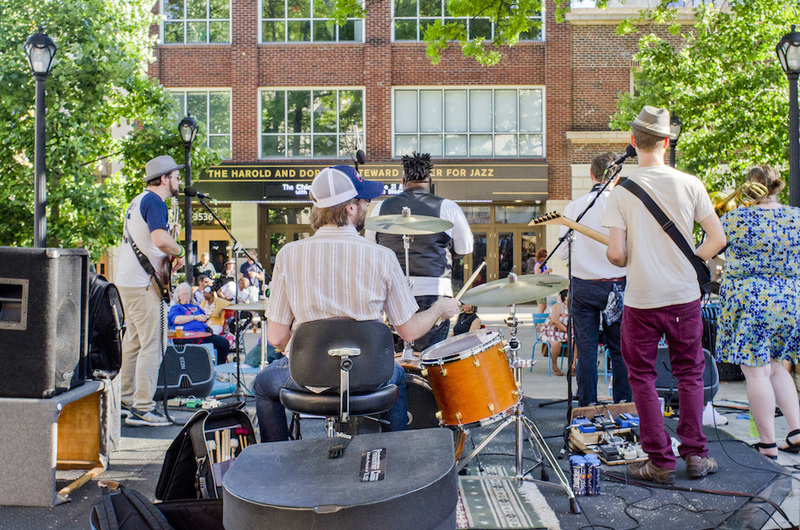 Strauss Park is central to the local music scene. The space is now welcoming and accessible, filled with moveable seating options. 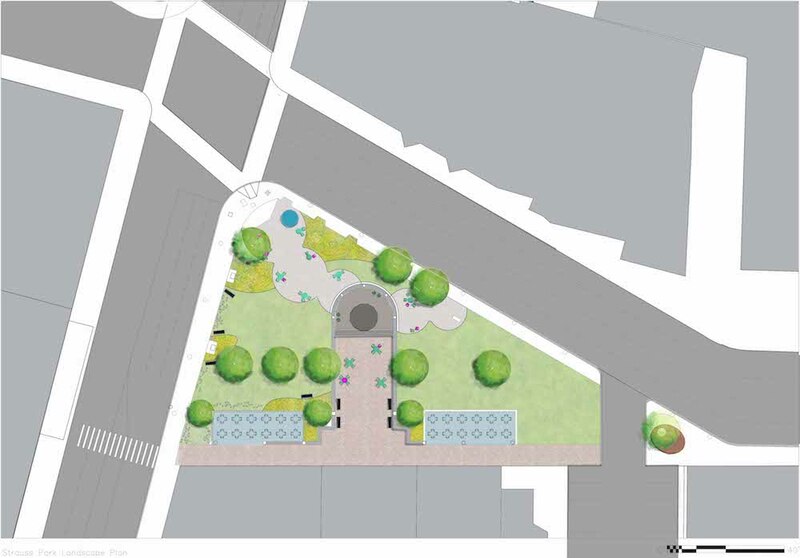 A rendering of the entry circles in Strauss Park.